20 yo male, Div. 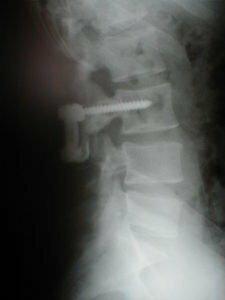 I college football player with disabling spondylolysis - Matthew D. Hepler, M.D. 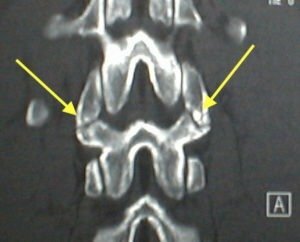 Case Review: 20 yo male division I college football player (tightend) with disabling LBP toward the end of his sophomore season. 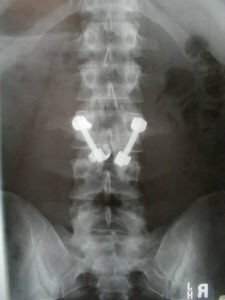 He was diagnosed with spondylolysis at L3 and L4 treated with bracing. 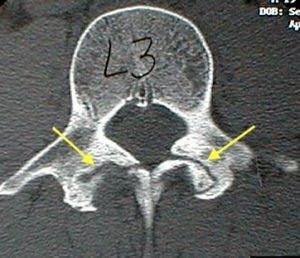 The L4 lesion healed but he had persistent pain and lysis at L3. 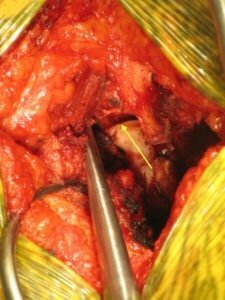 He underwent a spondylolysis repair (MISS) with impaction bone grafting and pedicle/hook claw instrumentation. 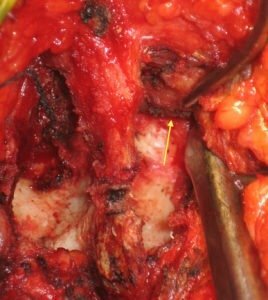 The patient did well postoperatively, returning to full activities including starting tight end his junior year. 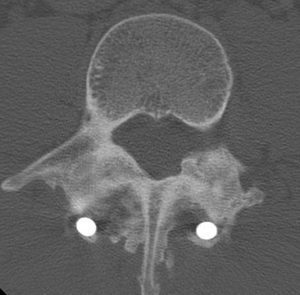 CT performed 6 months postoperatively demonstrated complete healing of the lytic defect.